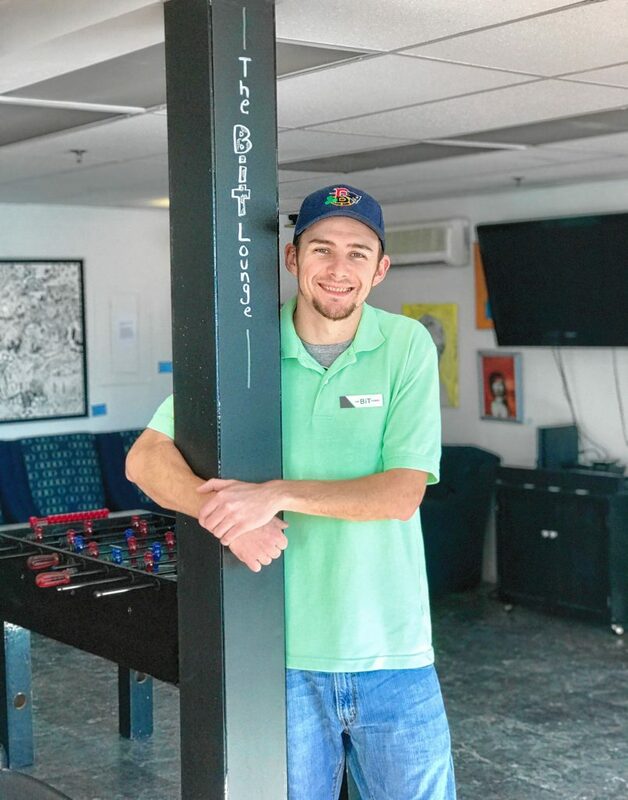 The Greater Concord Chamber of Commerce’s Concord Young Professionals Network introduces you to our “Young Professional of the Month,” Jim Seavey. Each month the CYPN Steering Committee recommends a young professional in the community it thinks readers would enjoy getting to know better. How old are you? 32. Where do you currently work? I am the owner/CEO of The Bit Lounge, a web design and digital marketing company. You may also see me on the fields as a professional soccer and lacrosse referee. What’s your favorite part of your work day? My job creates challenges and new opportunities and breeds creativity every day. No two days are the same. Every project/client is different. What do you like to do for fun? When I’m not working, you’ll find me out enjoying a live show, shooting hoops, skiing, or playing video games with friends. Favorite places to be? Hanging out with friends by one of N.H.’s awesome lakes drinking some IPAs. How did you find out about CYPN and how has it benefited your business or you personally? I found Concord’s YPN through local friends. In only a short time I have made close connections with several professionals. Everyone from content writers, designers, lawyers and entertainers. There is a great mix of really awesome young business professionals and entrepreneurs. Who is your greatest role model? I don’t have a specific role model but I’ve met some really important people that changed how I look at life and how I interact with the people I meet. They have all played important roles in my life. What’s your favorite restaurant in Concord? I enjoy Siam Orchid, Dos Amigos and The Barley House, and visit them often. What’s your favorite place to go in Concord? I enjoy hanging out at Lithermans Limited and Concord Craft Brewing Co. with some buddies or watching a game at Castro’s. Favorite movie of all time?The Fifth Element. What is one of your life goals? I have always wanted to be on late-night TV. Being interviewed would be awesome! What has been your favorite CYPN event so far? I had a great time at the event at Red River Theatres. If you could visit any place in the world, where would you go? I’d love to visit Africa or China. There are so many beautiful spots to visit in those places. Where is the best place you’ve visited? I’ve had many awesome experiences living in California, Colorado, Boston and Florida, like the amazing Cali beaches and food, or catching a game in Boston. Who would you really like to meet? I enjoy meeting entrepreneurs who have created something big from nothing. Tell us a few interesting facts about yourself! I drove across the country when I was 18 and moved to Los Angeles. I started my web design business when I was 14 with a buddy from middle school.